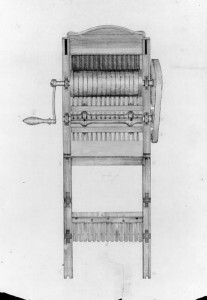 American inventor Eli Whitney creates the first mechanical cotton gin. The cotton gin quickly and easily separated cotton fibers from their seeds, speeding up production. This also accelerated the slave trade to America, as more labor was needed to plant and harvest cotton.